​Feathers will be sharing his joy of whittling and crafting wood. 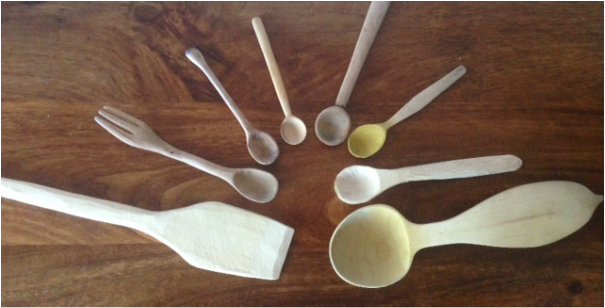 There are many possibilities for basic woodwork and refined whittling that we can open up throughout the camp including creating your own eating utensils that you can put to use right away. Tips and techniques will be passed on as well as opportunity to learn some notches. We will have tools and resources for you to use however if you're used to working with your own knife do bring it with you. If you're choosing woodcraft as your primary craft and have any particular wants or goals or want to talk an idea through with Feathers, then do let us know in advance so we can arrange the right resources.